The beautiful cross-country skiing area of Gantrisch is located at approximately 20 minutes driving distance from Schwarzsee. Gantrisch owns its popularity to the local cross-country skiing association "Langlauf-Zentrum Gantrisch", which was founded in the winter of 1968. The association grooms the trails in Gantrisch, Riffenmatt, works the night trail in Riffenmatt, rents skis in Riffenmatt, Schwarzenbühl, Ottenleuenbad and Gurnigel and owns a small centre called Blockhaus at Schutzhüttli. 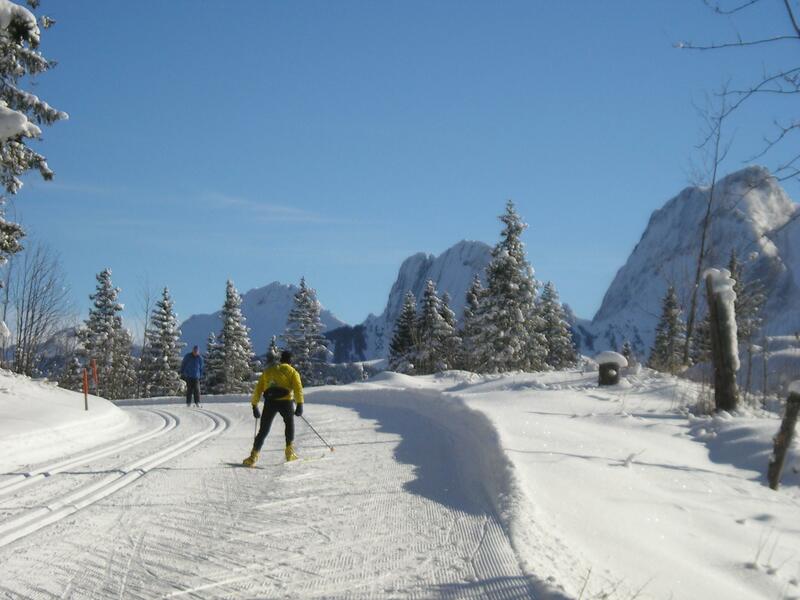 On certain weekends the centre offers cross-country skiing tuition and free tuition for members.